Although the typical 400 foot (120 meter) or so UHF radio range has not been impressive to cavers in the past, this new capability to automatically link up to 14 such hops into a continuous network could be useful in many cave projects. Although these ham radios are expensive, they operate in the same UHF spectrum as the inexpensive $20 FRS radios available everywhere. This makes it easy for any cavers to test the viability of such a system before a major investment of the $500 radios or the need for a Ham license. To conduct a test, you only really need two FRS radios. Start at the entrance with one radio and the other carried to max range for the first passage. Then keep a radio at that location and leapfrog a radio to the end of the second link. And so on up to 14 hops. Once these places are known, then future expeditions could use the APRS radios to provide continuous texting and position reporting communications along the entire path. 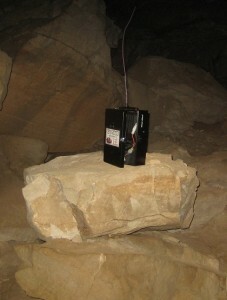 For very deep penetrating expeditions, communications back to the entrance might not be needed and other classical HF vertical links can make contact with in-cave basecamps and then from there the UHF system can go out another 14 hops in any direction. This experiment is just a first step, next we will have to discover the viability and length of these links in the harder spots and smaller/wetter passages than the subways of Mammoth Cave. Any cavers interested in conducting their own experiments or sharing their opinions on whether such a system would be useful and in what circumstances are encouraged to visit the Cave-link Radio page or email me, Bob Bruninga, at [email protected]. Bob came up with the APRS concept in the mid 1990's when GPS became economical to combine with Ham radio. It has since grown to include tens of thousands of Ham Radio users and applications - see your area's portion of the global network on APRS.fi. 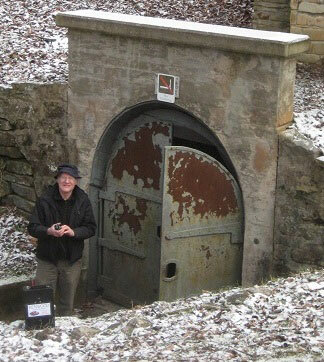 An early caver as a kid in North Alabama, Bob visited few caves during his 20 year Naval career until a recent tourist trip to Mammoth Cave inspired underground APRS tests. I have not tested it yet but you should be able to use 40 meters from surface to underground for several miles distance. wire wound up on 2 separate bobbins as the antenna and worked ok.